Nahmis et Fils Distillery, based in Yonkers, NY, is owned and run by the husband and wife team of David and Dorit Nahmias. David grew up in Morocco and they are the northeast's only producer of a traditional Moroccan fig eau de vie called Mahia, which they make based on David's mother's recipe. 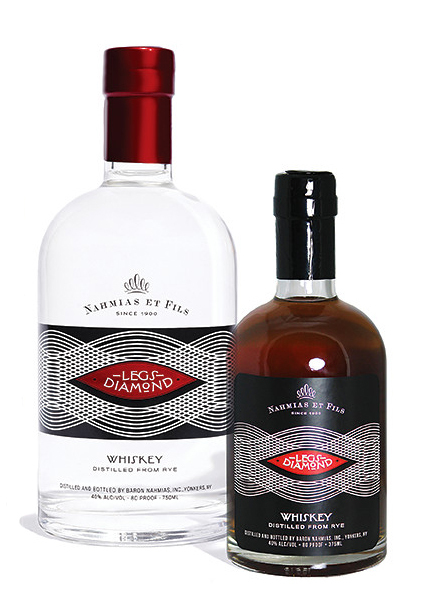 They also make aged and un-aged versions of Legs Diamond 100% rye whiskey using organic rye sourced from farms in upstate New York. Every bottle is made from scratch in their New York distillery. Nahmias et Fils was honored with a 2017 Good Food Award for their Legs Diamond Rye. They welcome tours and tasting groups to their distillery and you can book a visit via their website.